Construction of power projects in Tanzania is set to begin after 4 companies in the country were announced beneficiaries of US president Barrack Obama’s Power Africa initiative. The companies will eventually help in the expansion of renewable energy solution which targets rural areas. The grants to construct the power projects in Tanzania which have been awarded by General Electric Africa in conjunction with the US African Development Foundation (USADF) and the US Agency for International Development (USAID) will see each winner receive up to US$ 100,000. 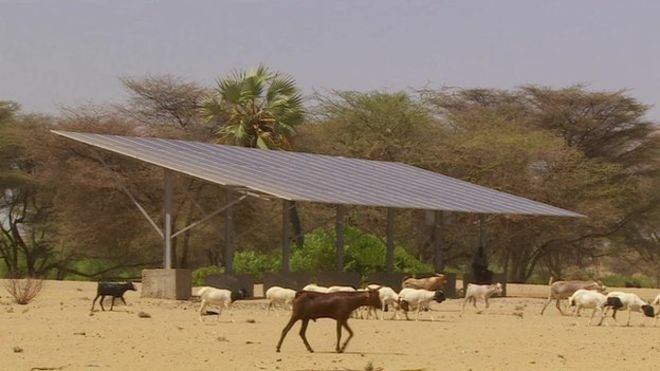 Several small power projects in Tanzania are expected to especially connect rural areas with electricity and eventually boost their economy. Power Africa said in a statement that the beneficiaries in Tanzania include the Benedictine Sisters of St. Gertrud Convent in the Njombe Region who plan to connect villagers to low-cost, sustainable electricity produced by the constructed 317 KW small hydroelectric power plant (SHEPP), Maasai Pastoralists Development Organization (MPDO), which will construct and install solar PV systems at seven Maasai schools in rural northern Tanzania, providing reliable electricity to students, teachers and the surrounding community. Others are Sustainable Energy Services Company Limited (SESCOM) which will install a 20 kilowatt micro-grid powered by biomass (primarily maize cobs) in rural Kibindu village in eastern Tanzania and Watumia Umeme Cooperative Society (WUCS) will install a ten kilowatt solar micro-grid in Masimbwe village, in southwestern Tanzania with no access to the national grid. Through this program, many households will do away with the kerosene and firewood sources and have access to solar power which is efficient and healthier. Other beneficiaries come from Kenya, Nigeria, Ghana and Ethiopia. Power Africa initiative aims to expand access to electricity across sub-Saharan Africa.